PLEASE READ THIS TERMS OF SERVICE AGREEMENT (THE "TERMS") CAREFULLY. BY ACCESSING OR USING WWW.WHOOOSREADING.ORG (THE "WEBSITE"), THE WHOOO'S READING MOBILE APPLICATION (THE "APP"), OR ANY OTHER WEBSITES OR APPLICATIONS OF LEARN2EARN CORPORATION, DOING BUSINESS AS WHOOO'S READING ("WHOOO'S READING," "WE," OR "US") THAT LINK TO THESE TERMS, OR ANY OF THE SERVICES PROVIDED OR OTHERWISE MADE AVAILABLE VIA THE WEBSITE OR APP (COLLECTIVELY, THE "SERVICES"), YOU ("YOU" OR "USER") REPRESENT THAT YOU HAVE READ, UNDERSTAND, AND AGREE TO BE BOUND BY THE TERMS. (A) Acceptance; Authority. By registering for and/or using the Services in any manner, including but not limited to visiting or browsing the Website or App, you agree to these Terms. If you do not agree, or do not have all requisite authority and consent to be bound by the Terms (as further described below), you may not access or use the Website, App or Services in any way. (B) Types of Users. The Services are available to several different types of Users, who will have different types of accounts with different tools, functionalities and restrictions. For example, the Services may be accessed by educators and instructors (collectively, "Teachers") teaching a class ("Class") in which the Services supplement the curriculum, the students enrolled in such classes ("Students") or by individuals working within an educational institution, such as a school or school district (collectively, "Schools"), who will use the Services to monitor the progress of Students across several Classes (collectively, "Administrators"). (D) Eligibility. By registering for or using the Services in any way, you represent and warrant that you meet all eligibility criteria set forth in these Terms, including all age and authorization requirements listed below. We may, in our sole discretion, refuse to offer the Services to any person or entity and change the eligibility criteria at any time. You are solely responsible for ensuring that these Terms are in compliance with all laws, rules and regulations applicable to you and the right to access the Services is revoked where these Terms or use of the Services is prohibited or to the extent offering, sale or provision of the Services conflicts with any applicable law, rule or regulation. (E) Modifications. Please regularly check the Website or App, as applicable, to view the then-current Terms. 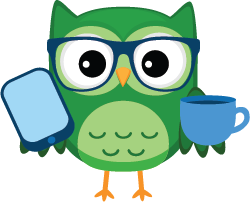 When changes are made, Whooo's Reading will make a new copy of the Terms available on the Website and/or through the App, as applicable, and we will update the "Last Updated" date at the top of the Terms. If we make any changes to the way Student Data (as defined below) is collected, used or shared by the Services, we will also send an email to the applicable Teachers and Administrators using the contact information we have on file with additional information regarding the collection of such data and available options regarding data collection and use, before the data is used in any manner inconsistent with the terms initially provided to Users. For other changes, the Terms are subject to change by Whooo's Reading in its sole discretion at any time. If you do not agree to any change(s) after receiving a notice of such change(s), please stop using the Website and/or the Services and please contact us at support@whooosreading.org to have your account deleted. Otherwise, your continued use of the Website, App and/or Services constitutes your acceptance of such change(s). Any changes to the Terms will be effective immediately for new Users of the Services. (F) ARBITRATION. THESE TERMS REQUIRE THE USE OF ARBITRATION ON AN INDIVIDUAL BASIS TO RESOLVE DISPUTES, RATHER THAN JURY TRIALS OR CLASS ACTIONS, AND ALSO LIMITS THE REMEDIES AVAILABLE TO YOU IN THE EVENT OF A DISPUTE. MORE INFORMATION ABOUT ARBITRATION IS INCLUDED BELOW. (A) Service Content. The Website, App and Services, and the information, data and content made available on the Website, App or Services ("Content") are protected by intellectual property rights laws throughout the world, including, as applicable, copyright, patent, trademark, trade secret, or other proprietary rights and laws. (B) Restrictions. The rights granted to you in the Terms are subject to the following restrictions: (i) you shall not license, sell, rent, lease, transfer, assign, reproduce, distribute, host or otherwise commercially exploit the Website, App or Services; (ii) you shall not use framing techniques to enclose any trademark or logo on the Website, App or Services; (iii) you shall not modify, translate, adapt, merge, make derivative works of, disassemble, decompile, reverse compile or reverse engineer any part of the Website, App or Services except to the extent the foregoing restrictions are expressly prohibited by applicable statutory law; (iv) you shall not use any manual or automated software, devices, or other processes (including but not limited to spiders, robots, scrapers, crawlers, avatars, data mining tools, or the like) to "scrape" or download data from any web pages contained in the Website, App or Services; (v) except as expressly stated herein, no part of the Website, App or Services may be copied, reproduced, distributed, republished, downloaded, displayed, posted or transmitted in any form or by any means, provided that you may reproduce or print certain Content made available through the Website, App or Services, as explicitly permitted by Whooo's Reading, on behalf of your Students who have existing Accounts for the sole purpose of using the Content for your (or your Students' or School's) educational, non-commercial purposes; and (vi) you shall not remove or destroy any copyright notices or other proprietary markings contained on or in the Website, App or Services. (C) Future Releases; Unauthorized Use. Any future release, update or other addition to the Website, App or Services shall be subject to the Terms. 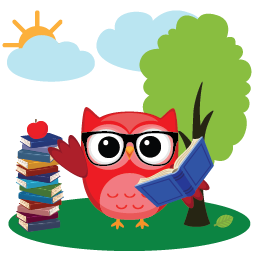 Whooo's Reading, its licensors, suppliers and service providers reserve all rights not granted in the Terms. Any unauthorized use of the Website, App or Services terminates the licenses granted by Whooo's Reading pursuant to the Terms. (A) General. In order to access certain features of the Services, you must have a registered account for the Services (an "Account"). Accounts are categorized as "Student," "Teacher," "Parent," and "Administrator." (B) Eligibility. If you are under age 18, you may only register for and use the Services under the supervision of an adult, in which case the adult shall be deemed the User and shall be responsible for any and all activities. (C) Registration Data. In registering for the Services, you (i) agree to provide all necessary information about yourself and your School ("Registration Data"); (ii) represent and warrant that all Registration Data is true, current, and complete; and (iii) agree to maintain and promptly update the Registration Data to keep it true, current, and complete. (D) Responsibility. You are responsible for all activities that occur under your Account. You may not share your Account or password with anyone, and you agree to notify Whooo's Reading immediately of any unauthorized use of your password or any other breach of security. You agree not to create or access an Account using a false identity or any false or inaccurate information, or on behalf of someone other than yourself. You agree not to create an Account or use the Services if you have been previously removed by Whooo's Reading, or if you have been previously banned from any of the Services. (A) General. Currently, Whooo's Reading offers two different types of Accounts on the Services for educational professionals receiving the Services on behalf of a School: "Teacher" Accounts and "Administrator" Accounts. Authority to create either of these Account types shall be determined by the appropriate individual at a School. (B) Individual Users Authority and Consent. By accessing or using the Services in any way, you are representing that you have the authority and permission to enter into the Terms on your own behalf and to use the Services as contemplated hereunder, including without limitation any consent necessary to use the Services in connection with any Student with whom you use the Services. (C) Use By or on Behalf of an Entity Authority and Consent. If you are using or accessing the Services on behalf of a School, in addition to being an eligible individual user (as set forth above), you must also have the authority and permission to enter into the Terms on behalf of the School and to use the Services on such School's behalf as contemplated hereunder, including without limitation any consent necessary to use the Services in connection with any particular Students. In such cases, the term "you" as used herein shall also refer to such School. Your School also will be responsible for any activities, including any violation of the Terms, that occur under your Account and any Accounts created using your Account. (D) Changes in Eligibility. In the event that you are no longer (i) employed by your School (or another School through which you receive Services) or (ii) otherwise authorized to view or use Student records, you must notify Whooo's Reading immediately of such change and you are not permitted to continue to view or use your Account. (E) Creating Student and Parent Accounts from an Educator Account. Using your Administrator or Teacher Account, you may create individual Student Accounts following the instructions on the Services or otherwise as directed by Whooo's Reading, as permitted by Whooo's Reading in its sole discretion. You may only create an Account for Students you have consent and authority for. By entering a Student's information into the Services, you represent and warrant that you have all necessary consent and authority, including from the Student's legal guardian, to create an Account on such Student's behalf. You can only give codes that allow Students to create their own Accounts ("Class Codes") to those Students who meet all of the foregoing requirements and all other requirements specified by Whooo's Reading. Using your Administrator or Teacher Account, you may also create individual Parent Accounts associated with your Student Accounts, following the instructions on the Services or otherwise as directed by Whooo's Reading. You may only create an Account for Parents who (i) are the parent or legal guardian of one of your Students for whom you have created a Student Account and (ii) have granted you permission to share their email addresses with Whooo's Reading. (F) Students Under 13. If you use the Services with students under 13, you represent and warrant that (i) you are a Teacher, Parent or Administrator at a School and (ii) if you are a Teacher or Administrator, that you have accurately identified such School in your Registration Data. "Student" Accounts are for use by Students, who are receiving the Services through a specific School in connection with a Class taught by a Teacher. Student Accounts may be created by Educators as outlined above, or by Students directly when provided with a Class Code by an Educator. As a condition of use, you agree not to use the Services for any purpose that is prohibited by the Terms or by applicable law. Do not post, or permit others to post, Content on the Services or on your Account that (i) encourages illegal activities; (ii) is fraudulent or tortious or is unlawful; (iii) insults, defames, harasses or threatens others; (iv) violates the copyright or intellectual property or privacy rights of others; (v) contains obscene material; (vi) harms or impersonates others; or (vii) advertises or sells a product or service. Do not attempt or engage in any potentially harmful acts that are directed against the Services, including but not limited to violating or attempting to violate any security features of the Services, introducing viruses, worms, or similar harmful code into the Services or interfering or attempting to interfere with use of the Services by any other user, host or network, including by means of overloading, "flooding," "spamming," "mail bombing" or "crashing" the Services. (A) License to User Content. Except with respect to Student Data, which shall be governed by the license set forth below, by submitting, providing, uploading, posting, emailing, transmitting or otherwise making available ("Make Available") any Content to Whooo's Reading, including on or through the Services, (such Content, your "User Content"), you grant to Whooo's Reading a nonexclusive license to view, download, reproduce, modify, create derivative works of, distribute and display such User Content in connection with the Services. (B) Responsibility. You acknowledge that you, and not Whooo's Reading, are entirely responsible for all User Content you Make Available through the Services, and that other Users of the Services, and not Whooo's Reading, are similarly responsible for all User Content they Make Available through the Services. You are solely responsible for your interactions with other Users of the Services and any other parties with whom you interact through the Services. You agree that Whooo's Reading will not be responsible for any liabilities incurred as the result of such interaction. You use all User Content and interact with other Users at your own risk. (C) No Obligation to Monitor Content. You acknowledge that Whooo's Reading has no obligation to review, monitor or pre-screen Content on the Services, although Whooo's Reading reserves the right in its sole discretion to review, monitor, pre-screen, refuse, modify, or remove any Content (i) that violates any law or regulation; (ii) that violates these Terms; (iii) that otherwise creates or may create liability for Whooo's Reading; or (iv) for any other reason Whooo's Reading determines in its sole discretion. Except as expressly set forth in these Terms, Whooo's Reading does not approve, endorse, or make any representations or warranties with respect to User Content or Student Data. (D) Security. Although Whooo's Reading takes security very seriously and works very hard on behalf of Student, Teacher and School privacy, including by using various industry standard measures to protect Content on the Services, no method of transmission or electronic storage on the internet is 100% secure. Therefore, Whooo's Reading cannot guarantee the security of any User Content. Except as expressly set forth herein or otherwise agreed to by Whooo's Reading in writing, Whooo's Reading has no obligation to store any User Content and Whooo's Reading has no responsibility or liability for (i) the deletion or accuracy of any Content, including User Content, (ii) the failure to store, transmit or receive transmission of Content, including User Content, or (iii) the security, privacy, storage or transmission of other communications originating with or involving use of the Services. (A) General. "Student Data" includes all data that personally identifies a student, such as name, username, and password, or any other non-public information about a Student, such as a Student's educational records and performance, but does not include De-Identified Data (as defined below). Whooo's Reading will only collect and use Student Data as necessary to fulfill its duties and provide and improve the Services. (C) Disclosure of Student Data by Schools, Teachers and Administrators. Teachers and Administrators using Whooo's Reading are solely responsible for ensuring that you and your School are compliant with all applicable laws and regulations related to your disclosure of Student Data and other Student information ("Student Records") to Whooo's Reading in connection with the Services, including, but not limited to the Family Educational Rights and Privacy Act ("FERPA"). Without limiting the generality of the foregoing, for all Student Records disclosed to Whooo's Reading, you represent and warrant, to the extent required by applicable law such as FERPA, that your School has (a) notified such Students' parents or legal guardians of your use of third party services, including Whooo's Reading, and the potential disclosure of Student Records in connection with such use and (b) obtained the appropriate consent(s) from the parents or legal guardians of such Students. If such Student is 18 years old or older, the notice and consent requirements of (a) and (b) shall apply to the Student instead of such Student's parent or legal guardian. (D) License to Student Data. By making available any Student Data to Whooo's Reading, including on or through the Services, you grant to Whooo's Reading a nonexclusive license to view, download, reproduce, modify, create derivative works of, distribute and display Student Data solely for the purposes of (a) providing the Services and (b) creating, using, and disclosing De-Identified Data about Students for product development, research, or other purposes. (E) Storage and Processing of Data. Whooo's Reading will store and process all Student Data in accordance with industry standard practices. This includes appropriate administrative, physical and technical safeguards to secure Student Data from unauthorized access, disclosure, and use. Whooo's Reading shall conduct periodic risk assessments and use commercially reasonable efforts to remediate identified security vulnerabilities. Whooo's Reading will also have an incident response plan and will promptly notify the relevant School in the event of a security or privacy incident or breach of personal information involving such School's Users. (F) Protection of Student Data by Whooo's Reading. i. No Sale or Trade of Student Data. Whooo's Reading will not (a) sell or trade Student Data; (b) use any Student Data to advertise or market to Students or their parents or legal guardians; or (c) use Student Data except as expressly stated herein. From time to time, Whooo's Reading may direct advertising or marketing to Schools but shall de-identify any Student Data used in connection with such marketing efforts. ii. School Requests. 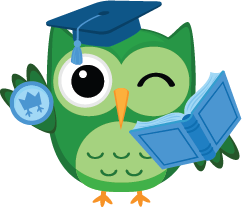 Whooo's Reading will make Student Data available upon a verified request by the School, Teacher, Parent, or Administrator who provided such Student Data or who would otherwise have verified authority to receive such Student Data. iii. Data Mining. Whooo's Reading does not scan Student Data for the purpose of advertising or marketing to Students or their parents or legal guardian (also known as "Data Mining"). iv. Return/Destruction of Student Data. When Student Data is no longer needed for the provision of the Services, at the request of the School, Student, or Student's parent or legal guardian, as applicable, Whooo's Reading will destroy all Student Data in its possession, or transfer such Student Data to the requesting School, if legally permitted. (G) Intellectual Property Rights. All intellectual property rights in Student Data not granted herein shall remain the exclusive property of the School, Student, or Student's parent or legal guardian, as applicable. (A) Paid Features. Certain features of the Services require paid access ("Paid Features") and may require payment from Schools. Regardless of whether Schools or Teachers are using the Paid Features, there is no charge to Students for Student access to the Services. (B) Ordering Paid Features. You may place orders for the Paid Features by contacting Whooo's Reading. Whooo's Reading may change the pricing for the Services, including Paid Features, (from time to time in its sole discretion) by updating the Website or App, as applicable, and without any additional notice to you, provided that any changes will not take effect until your subscription renews. (C) Payment Terms. If you order Paid Features, you agree to pay the then-current applicable fee as agreed to in writing with Whooo's Reading. Whooo's Reading will invoice you for the Paid Features and must receive payment prior to the date of activation. Except as otherwise stated herein, all payments are non-refundable. Fees are exclusive of all taxes, levies, or duties imposed by taxing authorities, and you are responsible for payment of all such taxes, levies or duties. If Whooo's Reading cannot process your payment method for any reason, Whooo's Reading may provide you, via email, notice of such non-payment and a request for you to provide another method of payment. If such non-payment is not remedied within thirty (30) days after receiving such notice of non-payment, then Whooo's Reading may suspend the applicable Paid Features. (A) Services. Except with respect to your User Content, you agree that Whooo's Reading and its licensors and suppliers own all rights, title, and interest in the Services. Whooo's Reading's name and other related logos, service marks and trade names used on or in connection with the Services are the trademarks and intellectual property of Whooo's Reading and may not be used without Whooo's Reading's permission. Other trademarks, service marks, and trade names that may appear on or in the Services are the property of their respective owners. (B) Ownership of Content. Except with respect to your User Content and Student Data, you agree that you have no right or title in or to any Content that appears on or in the Services. Whooo's Reading does not claim ownership of your User Content or Student Data. When you as a User post or publish your User Content on or in the Services, you represent that you have the authority to grant the aforementioned license to Whooo's Reading. (C) Feedback. You agree that submission of any ideas, suggestions, documents, and/or proposals to Whooo's Reading through its suggestion form, similar pages, or via direct communication to Whooo's Reading ("Feedback") is done on a non-confidential basis and that Whooo's Reading has no obligations with respect to such Feedback. You represent and warrant that you have all rights necessary to submit the Feedback. You hereby grant to Whooo's Reading a fully paid, royalty-free, perpetual, irrevocable, worldwide, non-exclusive and fully sublicensable right and license to use, reproduce, perform, display, distribute, adapt, modify, re-format, create derivative works of, and otherwise commercially or non-commercially exploit in any manner, any and all Feedback, and to sublicense the foregoing rights. j. Both you and Whooo's Reading acknowledge and agree that Apple and Apple's subsidiaries are third party beneficiaries of these Terms, and that upon your acceptance of these Terms, Apple will have the right (and will be deemed to have accepted the right) to enforce these Terms against you as the third party beneficiary hereof. The Services may contain links to third-party websites ("Third-Party Websites"). Such Third-Party Websites are not under the control of Whooo's Reading. Although Whooo's Reading makes reasonable efforts to curate the Content it makes available on the Services, Whooo's Reading is not responsible for any Third-Party Websites and does not review, approve, monitor, endorse, warrant, or make any representations with respect to Third-Party Websites, or their products or services. You use all links in Third-Party Websites at your own risk. You should review applicable terms and policies of any Third-Party Websites before proceeding with any transaction with any third party. You agree to indemnify and hold Whooo's Reading, its parents, subsidiaries, affiliates, officers, employees, agents, partners, and licensors (collectively the "Whooo's Reading Parties") harmless from any losses, costs, liabilities, and expenses (including reasonable attorneys' fees) relating to or arising out of: (a) your User Content or any Student Data Made Available by you; (b) your use of, or inability to use, the Services; (c) your violation of the Terms; (d) your violation of any rights of another party, including any User; or (e) your violation of any applicable laws, rules or regulations. Whooo's Reading reserves the right, at its own cost, to assume the exclusive defense and control of any matter otherwise subject to indemnification by you, in which event you will fully cooperate with Whooo's Reading in asserting any available defenses. You agree that the provisions in this section will survive termination of the Terms. YOU EXPRESSLY AGREE THAT TO THE EXTENT PERMITTED BY APPLICABLE LAW, YOUR USE OF THE SERVICES IS AT YOUR SOLE RISK, AND THE SERVICES ARE PROVIDED ON AN "AS IS" AND "AS AVAILABLE" BASIS, WITH ALL FAULTS. WHOOO'S READING PARTIES EXPRESSLY DISCLAIM ALL WARRANTIES, REPRESENTATIONS, AND CONDITIONS OF ANY KIND, WHETHER EXPRESS OR IMPLIED, INCLUDING, BUT NOT LIMITED TO, THE IMPLIED WARRANTIES OR CONDITIONS OF MERCHANTABILITY, FITNESS FOR A PARTICULAR PURPOSE, AND NON-INFRINGEMENT. WHOOO'S READING PARTIES MAKE NO WARRANTY, REPRESENTATION OR CONDITION THAT: (A) THE SERVICES WILL MEET YOUR REQUIREMENTS; (B) YOUR USE OF THE SERVICES WILL BE UNINTERRUPTED, TIMELY, SECURE, OR ERROR-FREE; (C) THE RESULTS THAT MAY BE OBTAINED FROM USE OF THE SERVICES WILL BE ACCURATE OR RELIABLE; OR (D) ANY ERRORS IN THE SERVICES WILL BE CORRECTED. ANY CONTENT DOWNLOADED FROM OR OTHERWISE ACCESSED THROUGH THE SERVICES IS ACCESSED AT YOUR OWN RISK, AND YOU SHALL BE SOLELY RESPONSIBLE FOR ANY DAMAGE TO YOUR PROPERTY OR PERSON, OR ANY OTHER LOSS THAT RESULTS FROM ACCESSING SUCH CONTENT. YOU UNDERSTAND AND AGREE THAT IN NO EVENT SHALL WHOOO'S READING PARTIES BE LIABLE FOR ANY INDIRECT, INCIDENTAL, SPECIAL, EXEMPLARY, OR CONSEQUENTIAL DAMAGES ARISING OUT OF OR IN CONNECTION WITH THE SERVICES; ANY DAMAGES RESULTING FROM LOSS OF USE, DATA OR PROFITS, WHETHER OR NOT WHOOO'S READING HAS BEEN ADVISED OF THE POSSIBILITY OF SUCH DAMAGES OR FOR ANY DAMAGES FOR PERSONAL OR BODILY INJURY OR EMOTIONAL DISTRESS ARISING OUT OF OR IN CONNECTION WITH THE TERMS, ON ANY THEORY OF LIABILITY, RESULTING FROM: (A) THE USE OR INABILITY TO USE THE SERVICES; (B) UNAUTHORIZED ACCESS TO OR ALTERATION OF YOUR TRANSMISSIONS OR DATA; (C) STATEMENTS OR CONDUCT OF ANY THIRD-PARTY ON SERVICES; OR (D) ANY OTHER MATTER RELATED TO THE SERVICES, WHETHER BASED ON WARRANTY, COPYRIGHT, CONTRACT, TORT (INCLUDING NEGLIGENCE), PRODUCT LIABILITY, OR ANY OTHER LEGAL THEORY. UNDER NO CIRCUMSTANCES WILL WHOOO'S READING PARTIES BE LIABLE TO YOU FOR MORE THAN THE GREATER OF (I) FIFTY DOLLARS ($50); OR (II) THE AMOUNT ACTUALLY PAID BY YOU TO WHOOO'S READING HEREUNDER IN THE 12 MONTHS PRECEDING THE DATE YOU FIRST BRING A CLAIM. WHOOO'S READING PARTIES ASSUME NO RESPONSIBILITY FOR THE TIMELINESS, DELETION OR FAILURE TO STORE ANY CONTENT OR USER COMMUNICATIONS. THE LIMITATIONS OF DAMAGES SET FORTH ABOVE ARE FUNDAMENTAL ELEMENTS OF THE BASIS OF THE BARGAIN BETWEEN WHOOO'S READING AND YOU. It is Whooo's Reading's policy to terminate membership privileges of any User who repeatedly infringes copyright upon prompt notification to Whooo's Reading by the copyright owner or the copyright owner's legal agent. Without limiting the foregoing, if you believe that your work has been copied and posted on the Services in a way that constitutes copyright infringement, please provide Whooo's Reading with the following information: (1) an electronic or physical signature of the person authorized to act on behalf of the owner of the copyright interest; (2) a description of the copyrighted work that you claim has been infringed; (3) a description of the location on the Services of the material that you claim is infringing; (4) your address, telephone number, and email address; (5) a written statement by you that you have a good faith belief that the disputed use is not authorized by the copyright owner, its agent or the law; (6) a statement by you, made under penalty of perjury, that the above information in your notice is accurate and that you are the copyright owner or authorized to act on the copyright owner's behalf. Contact information for notice of claims of copyright infringement is as follows: legal@whooosreading.org. The Terms commence on the date when you accept them (as described in the preamble above) and remain in full force and effect while you use the Services, unless terminated earlier in accordance with the Terms. If you have materially breached any provision of the Terms, or if Whooo's Reading is required to do so by law (e.g., where the provision of the Website or the Services is, or becomes, unlawful), Whooo's Reading has the right to immediately suspend any Services and licenses provided to you under this Agreement ("Suspension"). Following Suspension, Whooo's Reading and your Teacher and/or School, as applicable, will work together in good faith to determine whether to reinstate your access to (and any associated licenses to) the Services or permanently terminate your Services. Notwithstanding the foregoing, Whooo's Reading may terminate your Account immediately in its sole discretion in the event that (a) you are a repeat infringer for purposes of Whooo's Reading's copyright infringement policy as described in Section 16 or (b) you violate any restriction of these Terms after Whooo's Reading makes reasonable efforts to provide you with notice of a previous violation. You agree that Whooo's Reading shall not be liable to you or any third party for any Suspension or termination of your Account made in accordance with the Terms. Termination of any Services includes removal of access to such Services and barring of further use of the Service. Termination of all Services also may include deletion of your password and your User Content and, if applicable, Student Data. Upon termination of any Service, your right to use such Services will automatically terminate immediately. Whooo's Reading will not have any liability whatsoever to you for any Suspension or termination, including for deletion of your User Content and, if applicable, Student Data. Upon early termination of the Services by Whooo's Reading, in the event that you have purchased Paid Features, Whooo's Reading will refund to you a pro rata portion of fees for such Services paid to Whooo's Reading hereunder to the extent such fees are for Services that have not yet been rendered or made available to you. All provisions of the Terms which by their nature should survive, shall survive termination of Services, including without limitation, ownership provisions, indemnification, warranty disclaimers, and limitation of liability. (A) Release. Except to the extent prohibited by applicable law, you hereby release Whooo's Reading Parties and their successors from claims, demands, any and all losses, damages, rights, and actions of any kind, including personal injuries, death, and property damage, that is either directly or indirectly related to or arises from any interactions with or conduct of other Users or Third-Party Websites of any kind, arising in connection with or as a result of the Terms or your use of the Services. You hereby waive California Civil Code Section 1542, or any similar law of another jurisdiction, which states in substance, "A general release does not extend to claims which the creditor does not know or suspect to exist in his favor at the time of executing the release, which, if known by him must have materially affected his settlement with the debtor." (B) Dispute Resolution. At Whooo's Reading's or your election, all disputes, claims, or controversies arising out of or relating to the Terms of Service or the Service that are not resolved by mutual agreement shall be exclusively resolved by binding arbitration to be conducted before JAMS, or its successor. Unless otherwise agreed by the parties, arbitration will be held in San Diego, California before a single arbitrator mutually agreed upon by the parties, or if the parties cannot mutually agree, a single arbitrator appointed by JAMS, and will be conducted in accordance with the rules and regulations promulgated by JAMS. The arbitration must commence within forty-five (45) days of the date on which a written demand for arbitration is filed by either party. The arbitrator's decision and award will be made and delivered within sixty (60) days of the conclusion of the arbitration and within six (6) months of the selection of the arbitrator. The arbitrator will not have the power to award you any damages in excess of the limitation on actual compensatory, direct damages set forth in above and may not multiply actual damages or award punitive damages or any other damages that are specifically excluded under these Terms of Service, and you hereby irrevocably waive any claim to such damages. The arbitrator may, in his or her discretion, assess costs and expenses (including the reasonable legal fees and expenses of the prevailing part) against any party to a proceeding. Any party refusing to comply with an order of the arbitrators will be liable for costs and expenses, including attorneys' fees, incurred by the other party in enforcing the award. Notwithstanding the foregoing, in the case of temporary or preliminary injunctive relief, any party may proceed in court without prior arbitration for the purpose of avoiding immediate and irreparable harm. The provisions of this arbitration section will be enforceable in any court of competent jurisdiction. (C) Jurisdiction. This Agreement will be governed by the laws of the State of California without regard to its conflict of law provisions. With respect to any disputes or claims not subject to arbitration, as set forth above, you and Whooo's Reading agree to submit to the personal and exclusive jurisdiction of the state and federal courts located within San Diego County, California. (D) Notice to California Users. Under California Civil Code Section 1789.3, Users of the Service from California are entitled to the following specific consumer rights notice: The Complaint Assistance Unit of the Division of Consumer Services of the California Department of Consumer Affairs may be contacted in writing at 1625 North Market Blvd., Suite N 112, Sacramento, CA 95834, or by telephone at (916) 445-1254 or (800) 952-5210. You may contact us at Whooo's Reading, 1228 University Ave, Suite 200, San Diego, CA 92103 or by email at legal@whooosreading.org. (E) Miscellaneous. The Terms, and your rights and obligations hereunder, may not be assigned, subcontracted, delegated or otherwise transferred by you without Whooo's Reading's prior written consent, and any attempted assignment, subcontract, delegation or transfer in violation of the foregoing will be null and void. Whooo's Reading may assign this Agreement without your consent. Whooo's Reading shall not be liable for any delay or failure to perform resulting from causes outside its reasonable control, including, but not limited to, acts of God, war, terrorism, riots, embargos, acts of civil or military authorities, fire, floods, accidents, strikes or shortages of transportation facilities, fuel, energy, labor or materials. Where Whooo's Reading requires that you provide an email address, you are responsible for providing Whooo's Reading with your most current email address. In the event that the last email address you provided to Whooo's Reading is not valid, or for any reason is not capable of delivering to you any notices required permitted by the Terms, Whooo's Reading's dispatch of the email containing such notice will nonetheless constitute effective notice. You may give notice to Whooo's Reading at the following address: 1228 University Ave, Suite 200, San Diego, CA 92103. Such notice shall be deemed given when received by Whooo's Reading by letter delivered by nationally recognized overnight delivery service or first class postage prepaid mail at the above address. Any waiver or failure to enforce any provision of the Terms on one occasion will not be deemed a waiver of any other provision or of such provision on any other occasion. If any provision of the Terms is, for any reason, held to be invalid or unenforceable, the other provisions of the Terms will remain enforceable, and the invalid or unenforceable provision will be deemed modified so that it is valid and enforceable to the maximum extent permitted by law. Unless you have entered into a separate School Agreement, the Terms are the final, complete and exclusive agreement of the parties with respect to the subject matter hereof and supersedes and merges all prior discussions between the parties with respect to such subject matter. Please contact us at legal@whooosreading.org with any questions regarding this Agreement or the Service.